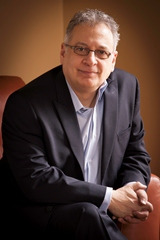 Tony Zambito is the creator and leading authority in B2B buyer personas. We recently spoke to him about his work helping Fortune 100 companies gain a deeper understanding of their buyers. Here’s what he had to say. Kuno: What would you say the term “buyer persona” really means? Tony: There’s a lot of what I call “faux persona work” out there. I came through the ranks as a typical corporate guy in sales and marketing and had the pleasure of leading large organizations. My transformative moment came when I witnessed the birth of personas at a design firm and helped them grow through some pretty significant design engagement. Personas came out of the design world and were meant to inform design strategy; That was the original purpose. I was able to work with some brilliant designers who came up with some of the foundational methodology, but while I was doing that I kept saying to myself, “Well, my background is in sales and marketing, and there’s got to be a way to make this work for sales and marketing.” That’s when I launched the buyer persona concept back in 2002. I wanted to make a methodology specific to sales and marketing, and I’ve been on that train ever since trying to evolve that. It’s gaining popularity in the marketing world, but there’s a lot of misinformation out there about it, too. It’s a R&D process. Kuno: Can you talk about what buyer personas are not? Tony: Buyer persona work is not a worksheet or a template to fill out. It’s a communications platform to communicate deeper insights based on your qualitative research. It gives you a communications vehicle to help the rest of your organization understand who buyers are at the deepest possible level. You are enabled to develop a common language about buyers in your organization. Then, you’re executing on strategies informed by the insights and the buyer personas themselves. That’s basically the key principal behind it. It’s focused on modeling archetypes of your buyers and modeling buyer behaviors—which in turn then informs the strategies you need to put in place to connect with buyers. Kuno: Do you use the “Awareness, Consideration, Decision, Retention, Support” labels when you talk about the stages of the buyer’s journey? Tony: That’s a pretty standard definition. I use that model with clients because that’s what they want to talk about, and then I just filter the buyer data through that. There are all different kinds of names for that process, but the framework is pretty much the same. That being said, when you do buyer persona and buyer insight development work the way it should be done, you get underneath the framework and find out the rich information and insights about the buyer’s interests and goals. So you can call the buyer journey whatever you want. What matters is focusing on buyer behavior and identifying the critical path they take to a purchase decision. Kuno: What are some examples of buyer behavior? How should it be approached depending on each behavioral stage? Tony: Instead of thinking of the stages by their names, think about them by the behaviors they contain. Instead of looking for “awareness” behavior at the “awareness” stage, look for the actual behavior at this stage. That’s the question. At the moment, the buyer is an audience member. He’s not in the market yet. By understanding the behavioral goals at a deeper level, it makes more sense when it comes to orienting your content. What are this person's goals when not in the market? Once he or she makes that transition into “lead” behavior, it’s important to figure out what his or her goals are. What does it mean to us when buyers are not ready to buy? It’s more about getting in their head and the choices being made. There are so many choices that they’re making along the way, so it’s important to understand those choices and their values. What counts is underneath the buyer journey framework and the path to purchase. We're so glad we got to have this chat with Tony! Stay tuned for upcoming Q&A's in this series, including interviews with Adele Revella, Christine Crandell, Mark Gibson and more.